Designed with two heads, these ties can be assembled into a figure 8 for securing two cables. Its flexible adjustment means that bundles can be of different sizes. Ideal for running two cables in parallel, that need to be separated. 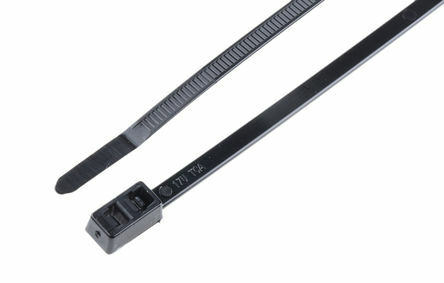 Allows installation of a second cable run without the need for additional cable ties.